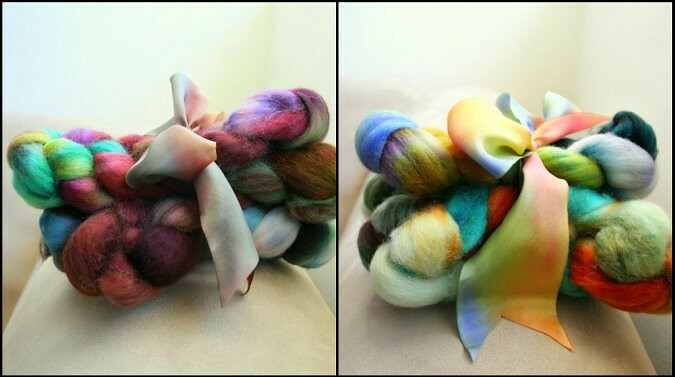 Check out these beautiful sampler bundles of fiber from Funky Carolina! Enter to win one of the bundles by leaving a comment, with contact information, under this blogpost. Two winners will be announced August 15, 2010, so be sure to check back then to see if you have won! Remember, only one comment per person please! please listen to my latest podcast, Episode 40, for a review. The winner is StaceyKnitsIt! Congratulations! Oops! Sorry everyone! I forgot to announce a second winner! There are after all 2 prizes! I just forgot before, Im sorry! The second winner is Crafty Scorp. Congratulations to both of the winners!